It’s embarrassing to admit, but the other day I threw out my back painting a miniature barn for baby chickens. One moment I’m leaning over slathering paint, and the next I realize that I cannot move. I dropped the paintbrush to the floor and hovered for a minute, trying not to draw attention to myself. Fourteen-year-old William was painting the other side of the barn, and as ridiculous as a chicken barn may be, getting injured while painting it is even more ridiculous. No matter how excrutiating the pain, you must keep your composure. Unable to move left or right, up or down, I focused on a sheet of plywood nearby and grabbed it as quietly as I could. William continued to paint the far side of the chicken barn, unaware that his crippled father was tilting only a yard away, no longer painting and joking around. Eventually he realized that something was not quite right. Anytime you are doing all the work and your partner is huffing at his post, something is not quite right. The first day after my chicken barn injury was painful, but fascinating. It took 45 minutes to get out of bed. Twelve-year-old Nick made coffee in the morning and set a steaming mug next to me in bed. I was Tantalus, writhing. I could not roll onto my side. Could not prop myself up on either arm. By the time I could get to the coffee, it was not even warm. As excruciating as the pain was during my first two days, the situations were amusing. 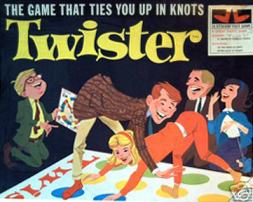 It was like playing Twister by myself, trying to unravel elaborate puzzles to complete the most mundane tasks. One puzzle was getting out of bed. Another was pulling on socks. Another was peeing. Another was getting in and out of the car. Day 1 was tough. Day 2 was better, and I was able to maneuver myself out of bed at 2 a.m. to pee. If you’re counting, that would be two puzzles. 30 minutes. The new chicks, I hope, appreciate their barn with its green roof and bright red sides. You can almost hear the plunk of the last nail being driven into Blockbuster’s coffin. But the sound is as quiet as the whir of a Netflix disc in a child’s Nintendo Wii console. After decades of resisting expansive cable tv options and expensive pay-per-view technology, frugal families across the United States can finally throw their VCRs in the trash and enjoy the same streaming entertainment so many people now take for granted, and at a fraction of the price. 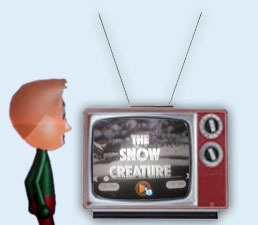 This week the last of the streaming television holdouts–families like mine–began receiving free discs from Netflix that enable streaming media through their unassuming Wii consoles. Point the fat-fingered Wii cursor at your movie or HBO series of choice, and join the new millennium. What is particularly interesting about this new development is not its potential impact on TiVo or ShowTime or satellite television. People used to paying a lot more money for a little more selection are not going to give up their slick technology to see Dexter in Luigi’s Mansion. What is interesting is how the new technology holdouts (read cheapskates) have just leapfrogged their more tech-savvy friends. No extra fees, no new wiring to an extra box. Just a little disc to displace Wii Sports for an evening. And a death knell for the brick-and-mortar video store, which long ago lost its advantage of in-house expertise and comprehensive selection. Blockbuster recently abandoned a detente in its war on customers by re-instituting heavy late fees, even on discs of crusty old movies that were not worth five dollars in the theater. The extensive library of classic movies and beloved B flicks has been replaced with a strange collection of impulse items, from Top 10 novels (wait for the movie) to microwave popcorn and giant bottles of Diet Pepsi. No offense, jolly man, but you don’t know Mii. And you don’t know the woman looking for a movie that is not insulting. And you probably don’t get why she and I no longer come into your store and listen to your cross-sell opportunity of a box of Jolly Ranchers and a poster of Keanu Reeves. We are, both of us, sitting contentedly at home with Link and Mario and Tony Soprano. Heading to the checkout line? Bring your ear plugs. This post first appeared on Technorati.com. This afternoon a banged up white truck drove slowly up our street spewing disheveled twentysomethings. “They’re coming,” I said to myself. And because I was out in the front yard working at the time, and had surely been seen, I knew it was too late to hide myself. So I hid the tools instead, closed up the garage, and waited. The only endearing quality of these door-to-door hawkers is that they are consistently, tragically amusing. Today it was the so-called student painters. I watched as one of them attacked houses along the south side of our street, failing to gain entry each time. Perhaps the owners were hiding inside, I thought, shushing each other. I got so lost in this fantasy that I failed to notice one of them as he emerged from around the hedge and startled me with a robotic Hello. “Don’t worry,” he began, “my boss won’t make you buy nuthin’ you don’t want.” I hope at least that the student painters can paint, because they do not seem to be very good students. I can do without this kind of amusement. At every turn now, we are confronted with obnoxious sales pitches. Pump gas at one station in Marysville, Washington, and you’ll be forced to watch a video about the casino next door. 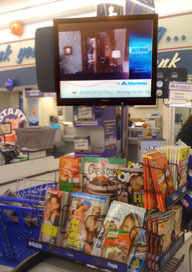 Head down the road to Albertson’s, and if you can make it past the cute girl peddling cookies by the entrance and get your groceries, you’ll be forced to watch a video while waiting in the checkout line. That pretty much sums up how we all feel about unwanted solicitations. Oh yes, and your cute little girl harassing me with her cookies outside the grocery store? I’ll buy her cookies when she is dedicated enough to squirt window cleaner in her eyes.